Amanda & Denny opted for a First Look, which let them get their nerves calm and take plenty of photos before the ceremony. Being a wedding professional herself (Amanda is the director of bridal services for Lou Stevens Glam Squad and a master stylist), she had plenty of vendors to choose from. She settled on The Mill at Fine Creek because it feels like home to her. 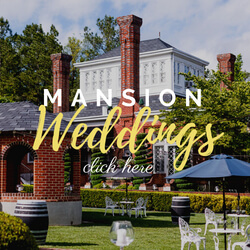 She says, “The views, the staff and the food are amazing, and I just knew they would take care of every last detail, and they did!” She and Denny knew their ceremony in the beautiful ruins at the Mill would wow their guests, and it certainly did! 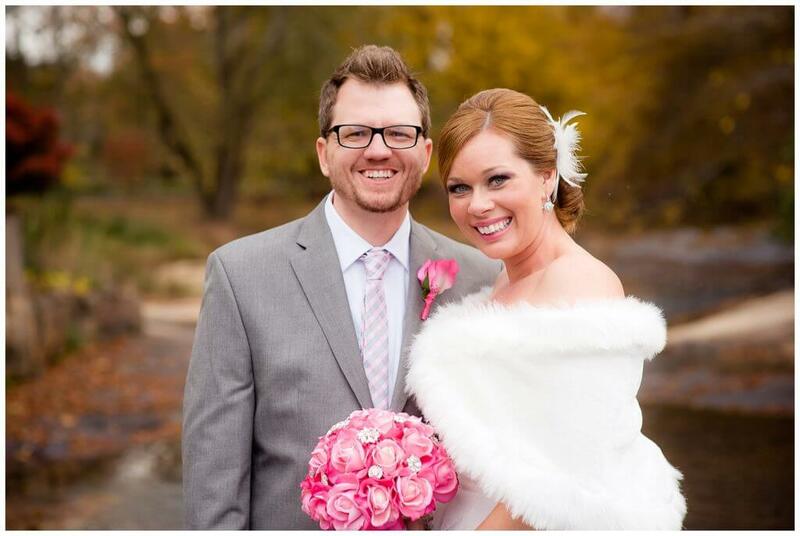 We always love seeing fur stoles at chilly Fall weddings! So classic AND practical. The ruins at the Mill at Fine Creek are even more beautiful at night! 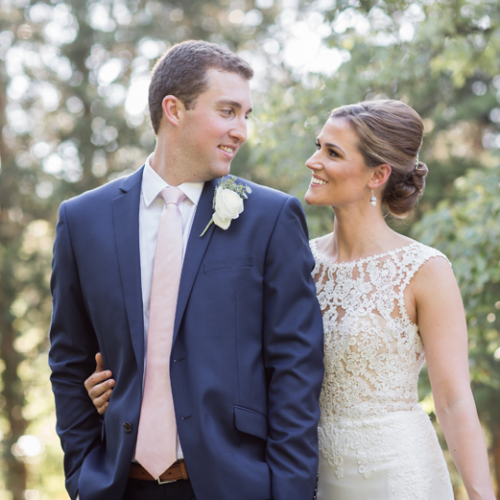 Congratulations, Amanda & Denny! We love you!